Following this game in Spokane, two games against both a BC Division and US Division will take place this weekend. Spokane picked up the first goal just over five minutes in as Riley Woods scored as he came out from behind the net untouched and fired over Joel Hofer’s left shoulder Jared Freadrich capitalized late in the period with a pinpoint shot from the faceoff dot to Bailey Brkin’s left to tie the game as both teams headed to the dressing room. Midway through the second period, Spokane was able to play a little tic tac toe in front of the Hawks net to once again take the lead. Spokane then went to the powerplay and a pass from behind the net by Adam Beckman to Jaret Anderson-Dolan gave him a clear shot and a two-goal lead. Just over a minute later, Luc Smith got his second of the night on a give-and-go with Jaret Anderson-Dolan, which ended up behind Joel Hofer for a 4-1 Spokane lead as the period ended. Five minutes into the third Jake McGrew broke up the Hawks entering to Spokane zone and stole the puck. Untouched, he went in and slid the puck under Hofer’s pads for a four-goal lead. Two minutes later it was Ethan McIndoe who scored off a rebound first shot by Riley Woods/ Now Spokane was up 6-1. Portland switched to Shane Farkas at this point. Spokane would score on a late powerplay as Jack Finley handcuffed Farkas on the right post, which gave Spokane a six-goal lead. Lane Gilliss would cap off the night as he regained the puck and backhanded a shot past Brkin on his way past the net to make the final 7-2 Spokane outshot Portland 47 to 21. Portland was blanked on three chances with the powerplay, but Spokane grabbed three on their six chances on the Powerplay.. With two games this weekend at home, Portland will put this behind them and gear up for the the home stretch. Spokane moves back into the third spot in the US Division with the win having played one more game than the Tri City Americans. In what was the world’s worst kept secret, Cranbrook will lose their WHL franchise to Winnipeg at the end of this season. The WHL Board of Governors agreed to move the franchise from Cranbrook at the end of this season and start as the Winnipeg Ice next season. With nine games to go, it will be interesting to see what crowds they get for the remaining home games. Cranbrook originally got the franchise from Edmonton following a tough two-year battle with the then WHA Edmonton Oilers back in 1998. The location of Cranbrook was selected and the team won three WHL titles in that time, but in the past few years, had fallen into a battle with the Chenoywth family who had sold the team a year ago. That battle was similar to one where the Brodsky family had owned the Prince George Cougars. The disagreements centered on not listening to the people of the town and lack of advertising and many fans in Prince George attended the Spruce Kings games at the old Civic Center. Nearly 6,000 seats at the CN Center (formerly the multiplex) saw crowds of less than 2,000 and the franchise was quickly evaporating. A change of ownership a few years back seemed to stem the tide. Attendance shot up and even though the closest rival was still almost six hours away, the team felt like home to many. The new group expanded areas of promotion and had people travel several hours to see them. Since then, the attendance has slipped a bit and while it is still a money loser, the owners have not expressed an interest in relocation. The same couldn’t be said for the Kootenay Ice. Despite a new area back in 2000 and WHL titles on three occasions, it was almost that the franchise was just there. No interest from the town in getting people to support it. With new owners in Matt Cockell and Greg Fettes, both of Winnipeg, there had been speculation that the team would move.The plan still had a major hiccup in that they would have to play two years in Northern Manitoba University before the arena was built. As it stands now, there are 1400 permanent seats in the arena, though there are area where more seats possibly, could be added on a temporary basis. There has been vocal opposition from the hockey team at Northern Manitoba University already as it applies to dates and the logistics of such a move. The last time any movement was made was in 2011 when Chilliwack moved to Victoria to become the Royals. There was a big battle then as there had been thoughts Tri City would move to Chilliwack back in 2006. 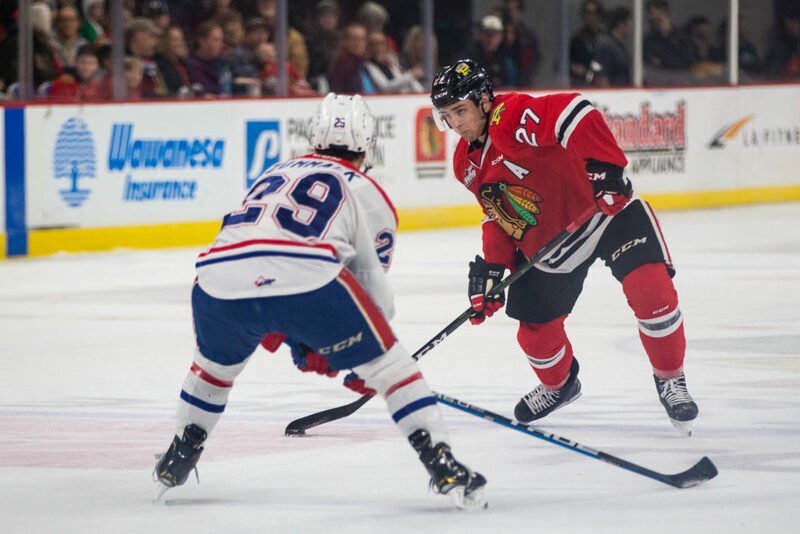 That opposition quickly turned the WHL on its heels as it scrambled to create a team selling and creating a franchise in Chilliwack using players in a dispersal draft. With the team relocating in 2011 to become the Royals, Chilliwack launched a BCHL team (the Chiefs) and allowing Langley, which held the BCHL team to create another BCHL team called the Rivermen and has been doing well enough there. Victoria has done very well as the Royals with many sellouts and strong attendance. There are rumours swirling on the future of the Western Financial Place, which is the home of the Kootenay Ice. Moving from the old arena a few blocks south, which housed 2000, the new arena holds over double and is part of a complex in town. That a Kootenay Junior team (KJHL) might go there is still unknown. No KJHL teams have any inklings on moving at this point. The size would also be good for BCHL teams like the Chilliwack Chiefs, but the location, several hours from Trail. Penticton and other BCHL franchises may be a detrimental factor.